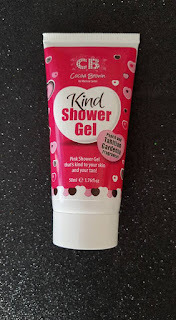 Today on the blog we are looking at the new products to from Cocoa Brown!! I was so excited when my travel pack arrived! 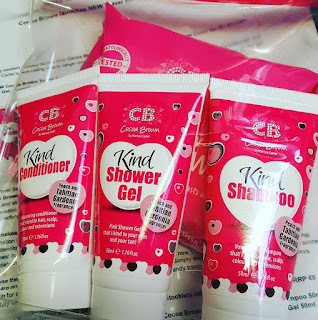 Cocoa Brown launches NEW Travel Set with four new products! 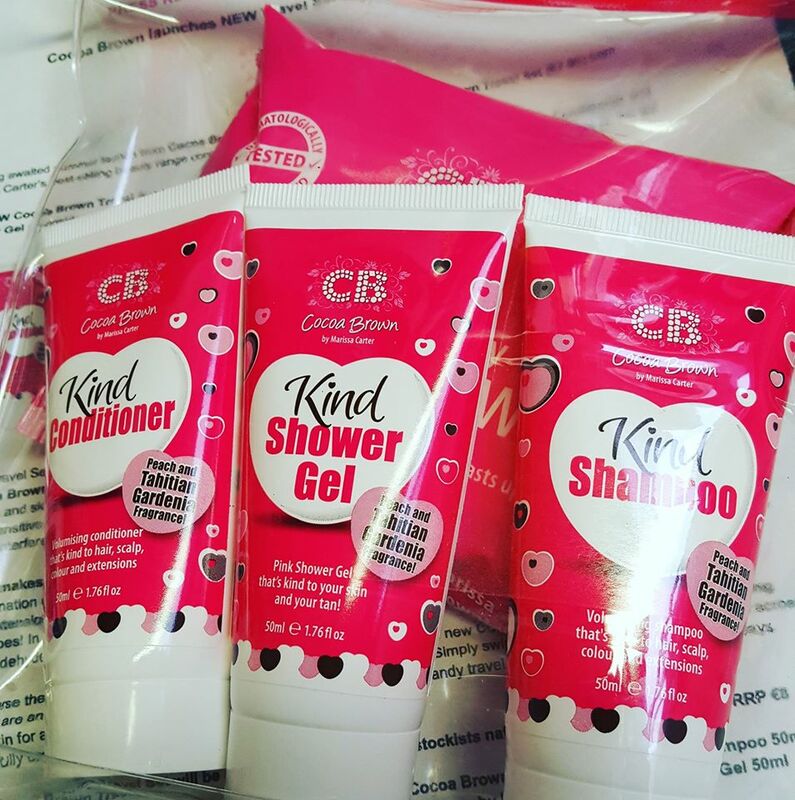 The long awaited summer 2016 launch from Cocoa Brown Tan has arrived! The NEW Cocoa Brown Travel Set (€7.95) from Marissa Carter’s best-selling beauty range contains four brand new products, never seen before! The NEW Cocoa Brown Travel Set includes the NEW Cocoa Brown by Marissa Carter Kind Shampoo, Conditioner and Shower Gel alongside a handy pack of Cocoa Brown Tanning Wipes to keep your Cocoa Brown glow topped up on the go! The Travel Set is the first introduction of the new Cocoa Brown Kind range of Shampoo, Conditioner and Shower Gel. 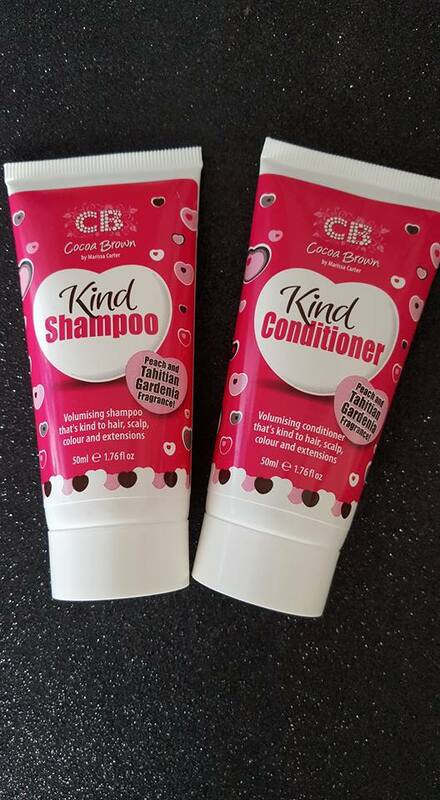 The Cocoa Brown Kind collection is a range of softly scented products for everyday use, specifically formulated for sensitive scalps and skin. Free from parabens, alcohol and formaldehyde, the Kind range gives a gentle, fresh wash, ideal for those with sensitive scalp and skin conditions, coloured hair and hair extensions. As an added bonus, the PH level of these products won’t interfere with your Cocoa Brown Tan, helping maintain your glow and ensuring an even fade. What makes Kind so ‘kind’? The primary cleansing agent is derived from natural sources, coconut oil and fruit sugars. The combination of three cleansing agents work synergistically to create a deep cleansing effect that is gentle on the hair, scalp and extensions.. The level of fragrance used is so minimal that it doesn't even technically need to be listed as an ingredient on the tubes! 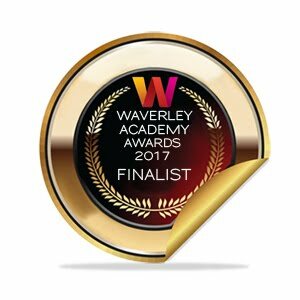 In the interest of transparency, we have of course listed it! 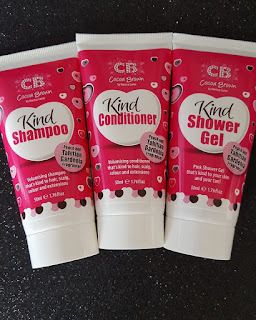 The Kind collection is paraben, alcohol and formaldehyde free too. Of course the new Travel Set contains some Cocoa Brown Tan too! The new Cocoa Brown by Marissa Carter Tanning Wipes are an easy way to maintain your Cocoa Brown glow on the go. 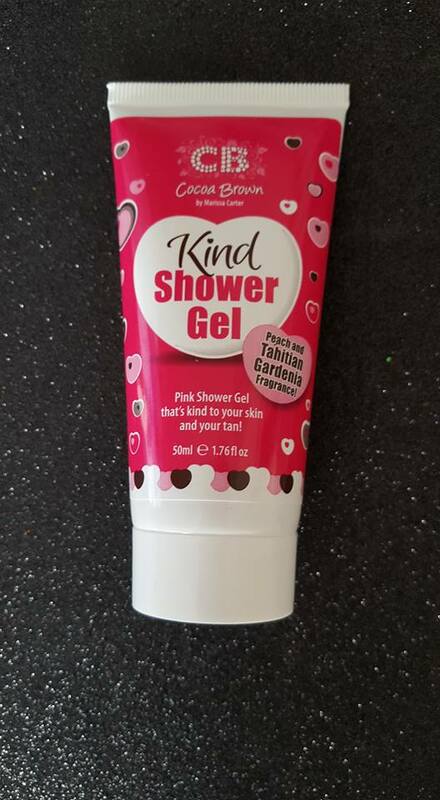 Simply swipe the freshly fragranced towelettes across your skin for an all over, natural looking Cocoa Brown Tan. Take this handy travel pack with you to ensure you’re always beautifully bronzed! 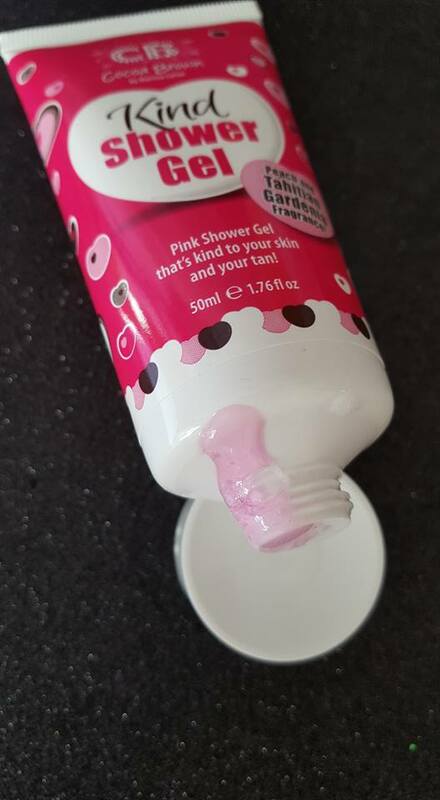 Firstly the shower gel is pink!! 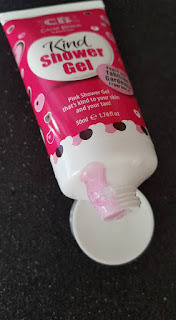 Of course it's pink anything event associated with the Cocoa Brown team is pink which I absolutely love because pink is one of my favourite colours. Now onto the smell, the scent of these new products is just beautiful. I won't lie I have already totally finished the shower gel, I just had to use it every shower I had until it was gone and I will deffo pick up one of the full size products once I run out of my next shower gel. I really love anything pink and the value Marissa is able to give her customers is just outstanding. The shampoo and the conditioner again have that beautiful scent of the Tahitian Gardenia and work into my long thick hair perfectly. Recently I once again attempted to add some blonde into my hair, why I do this I have no idea, it never works out so I have vowed to myself I will not do it again. 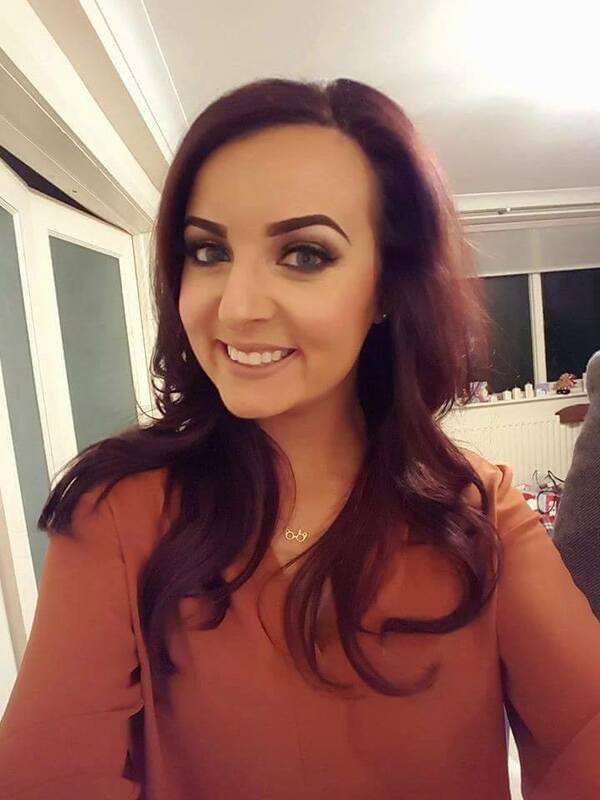 I have now gone back to the dark side so I wanted something really gentle on my hair. I feel it has been through enough damage over the last few months that this shampoo and conditioner combo is working perfectly. I don't feel my hard is dry or breaking as much after using it. I can also get a sensitive scalp and it has been really good for that, I am not feeling any irritation at all. 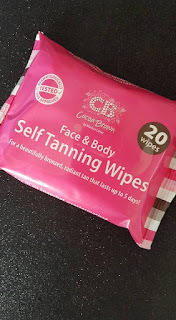 Last but by no means least whatsoever I have the Cocoa Brown Self Tanning Wipes. I have only been using these on my face. I am going away at the end of August so I am going to get a spray tan before I go away and then I am going to bring these to top up over the week. I'm really looking forward to trying them out more in heat and see if they can withstand already having a cocoa brown spray tan on my body. The glow that these wipes have been giving my face are perfect. I really love the healthy look I get from them. 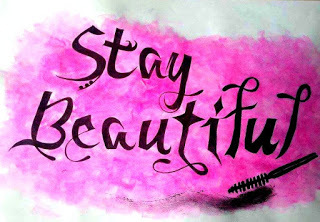 You just gently sweep the wipe over your face and then leave it to dry in before going to bed. I am not seeing a residue on my pillow which is a massive plus and unlike the foolish mistakes I once made as a teen trying some tanning wipes, I now always remember to wash my hands after using the wipes. Once again, Marissa has created stunning products which are hitting the market at the right time and just what everyone needs. I can't keep up with the creativity this woman has but I'm telling you she could sell ice to eskimos because every product she brings out, I have to have it. I have been watching the new rose gold version of Golden Goddess and it will be mine. I'm actually going to New York on my holiday in August and I cannot wait to see the big Cocoa Brown stand in Ricky's. Have you tried the latest products? What are your thoughts?